I've recently learned that it's possible for female snakes to lay eggs despite never mating or even being near a male but was under the impression is was rare. However recently I bumped into a few mentions that egg laying is more common in colubrids? Can anyone verify how true this is and how much of a concern it should be? Is there a certain age this tends to happen? I've read some people stating it's seasonal while others say it's completely random. I have no intentions on breeding but I'm worried if I may ever have to worry about my female being egg-bound. I've read how it can be as simple as soaking and massaging the snake to help pass the eggs, or as complicated as needing to have the eggs aspired or surgically removed which is what I'm most afraid of. Are the chances of this happening rare or actually pretty common to expected? How often? Is it as scary as it sounds? Or am I overthinking this? Is it easy to spot if my female ever gets egg-bound or full of eggs? will she get more aggressive? I've had 2 different females slug out on me despite me not breeding them. One was a virgin female. The other came to me eggbound and I performed surgery. Unfortunately 2 years after that surgery she decided to make a dud clutch, became eggbound again and died. While the making of dud clutches doesn't occur all that often, it's definitely a possibility. Becoming eggbound is even less likely BUT... it is something that can indeed happen and you should be prepared for. Having an eggbound female is scary, because that stuck egg can possibly block their ability to urinate and defecate. It's usually fairly easy to spot an eggbound female, as the egg most often gets stuck near the vent. My girl who died didn't even have a pre-lay shed when she passed away. I don't know exactly what happened or why, but she was full of dud eggs at the time. Thank you for the reply! The eggbound female you got, when you said she came to you eggbound do you mean that you'd gotten her from someone else? As for the virgin female did she continue to lay infertile eggs or was it a single incident? I'm glad to hear it's not as common as I'm thinking. At least not enough where I hope I don't need to actively think about or steer away from females. I'm trying to learn and prepare as much as possible in case this is something I may encounter with the female hatchling I'll be getting soon. The eggbound potential did have me a bit scared to the point I'm starting to wonder if I should get a male instead. If egg laying does happen, would you say there's a good chance it will be a reoccurring or seasonal thing? Or sporadic and random? Do you think being around males/being able to smell males near by would increase the chances of virgin egg laying? Granted I have a male ball python and I'm guessing it would be limited to the same snake species. I bred Nautley the following year. I didn't have unsired clutched from her after that. Thera was purchased from a pet store for $30 because she was so extremely lovely and good tempered. She had been given to the store buy het previous owner. She was able to still pass waste around the egg. I got a believed-to-be 2-year old cornsnake in October (2018). I was told she never had a mate. Until now, did not know gender. She just laid 8 eggs. This followed: 1) 3+ weeks not eating, 2) turning pale as if to shed (including cloudy eyes), then turning back to normal. When I discovered her eggs this morning, she was really pale and shedding. This is also her 4th shed since October (now early Feb 2019). Humidity has not been high enough so I've had to shed her with a moist towel each time. I am aware that some snakes may carry sperm for some time, but for 3+ months? 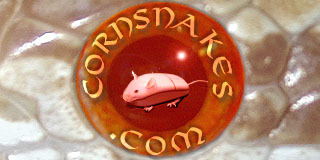 I'm also aware that some snakes are known to be parthenogenetic, but that this hasn't been observed in cornsnakes. So is it a sure thing that these eggs are infertile? How often can I expect her to ovulate like this? Or is this likely to be a one-time deal? I wouldn't say it is rare, but it's not a common occurrence. I was checking enclosures, and saw a pile of eggs in my "males" enclosure. Those are slugs(not fertile), unfortunately. Thanks. I suspected as much, but please inform the ignorant how you are so certain. Thanks. That seems to be what many say. But surely, someone has an idea about how often this happens with any particular cornsnake? And then, once it does happen, how likely is it to happen again and with what frequency? 1. since she hasn't eaten for nearly 4 weeks (offerred mouse 2x a week after 1st week since last feed), how long should I wait now to attempt feeding again? 2. can anyone explain what I saw with the shed? 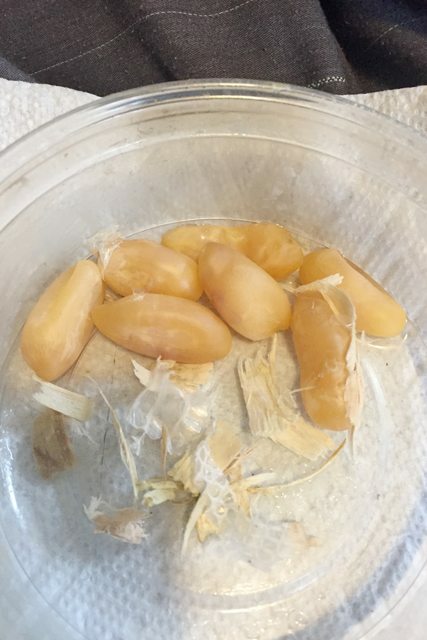 That she went pale, cleared up (seemingly without shedding), then after a couple days apparently laid the eggs and then shed? It is not unusual for a female corn snake to "slug out," meaning lay infertile eggs. Typically infertile eggs are soft and if you squeeze them the fluid in them will move around like in a water balloon. Fertile eggs have a white coating of calcium that protects them during incubation. 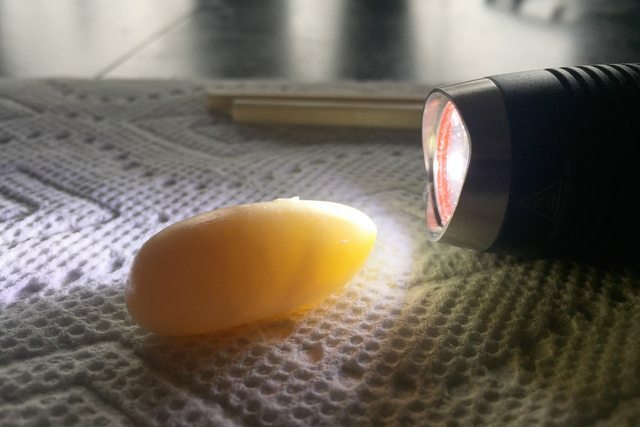 Candling will show blood spots or veins eventually. I've never had a young female lay more than one clutch of slugs in a year, but it is possible. You can feed her right now, no problem. I would encourage her to eat and gain weight. She may not cooperate, but keep trying. few days later. I have females that will eat the day before they lay. The yellow color is a good indicator that they're infertile, but not always. Fertile eggs will be more off white. I agree that you can feed her now.